Science, friendship, and cooperation take center stage in Amazon's five TV pilots for children. Several shows blew us (and our guest kid reviewers) away. In a continued effort to crowdsource TV programming from its Prime members, Amazon has offered up another slate of pilots for your consideration, be you kid or adult. Because not everyone has the time or inclination to watch all 10 shows, we've taken the liberty of viewing them for you. We already reviewed Amazon's offerings for mature audiences, so now we'll move on to the kids' shows. Because I haven't been a child since the day Doogie Howser, M.D. went off the air, I enlisted the help of my kids, 18-month-old Charlotte and 4.5-year-old Seamus, to put together these reviews. Some of these shows are clearly meant for an older audience, but almost all of these pilots held at least Seamus' attention very well. There was some crude humor, but I didn't find anything else that might give parents pause. More than anything, I was impressed with Amazon's positive portrayals of science, friendship, and cooperation in just about every show. So, which of the shows is worth your child's time? And furthermore, which should you "vote" to have developed into a full series? Read on for our reviews! Our Verdict: The Jo B. and G. Raff Show follows a cautious bear and an adventurous giraffe as they try to host a television show, despite being total opposites. 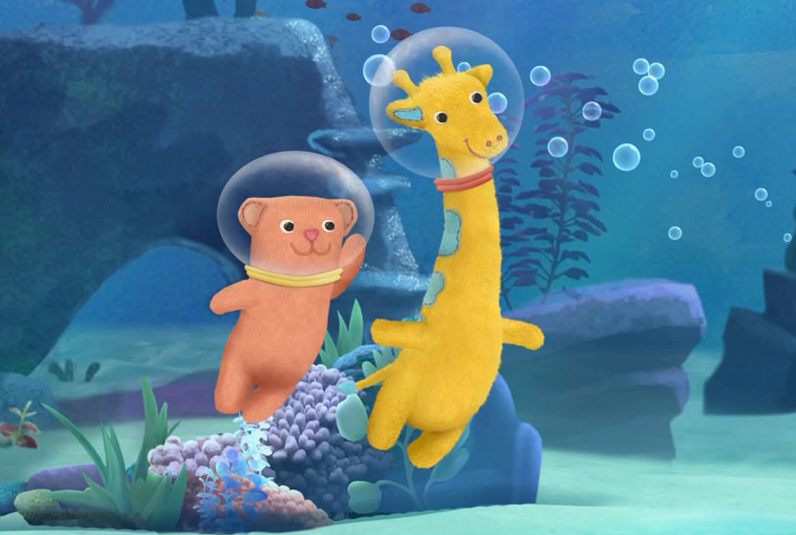 In the pilot, G. Raff abandons his post at showtime to go explore under the sea. Jo B. is forced to follow his friend underwater and they eventually compromise by hosting the show there, with the help of some singing fish. Best suited for the preschool crowd, this show features lots of short song-and-dance numbers, and a heavy emphasis on cooperation and friendship. From a parent's point of view, the show isn't very interesting and that's a problem. The great messages would probably sink in better if a parent were willing to watch the show and help reinforce the ideas. After Jo B. and G. Raff sang a song about compromise, I asked Seamus what compromise was. He said, "Compromise is singing under water." To be fair, Charlotte seemed to love the show, growling whenever the little bear was onscreen. Our Verdict: Miles and Kelvin are scientist-superheroes in Hardboiled Eggheads, using research and inventions to keep their school (and presumably the world) safe. Along for the ride is their friend Pilar, who's purpose seems to be asking the boys to explain what they're doing for the audience. In the pilot, the boys are supposed to watch Pilar compete in the school spelling bee, but are distracted when a mad villain begins turning everyone in the school into bees. 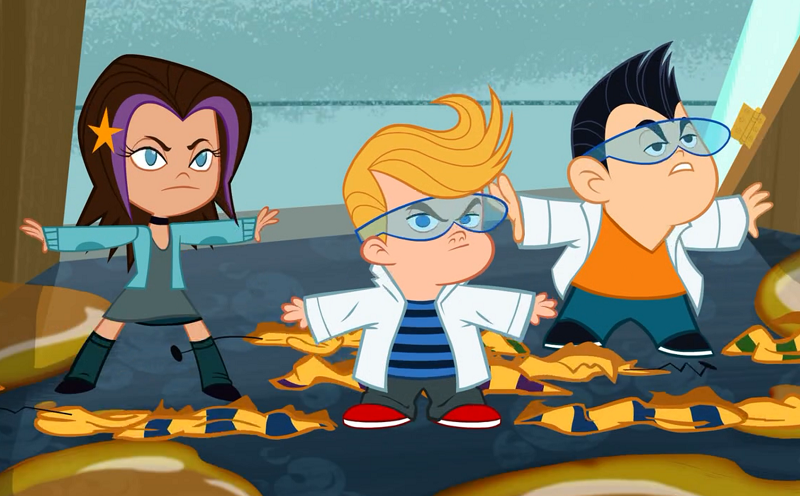 Not particularly educational despite its science slant, this show could fill a hole for elementary schoolers that somehow remember Jimmy Neutron and Dexter's Laboratory. Not every children's TV show has to be educational or meaningful, and Seamus got a kick out of Hardboiled Eggheads: "Those bugs are really people bugs! Aliens. I think there are aliens in this movie." For her part, Charlotte learned how to say "Bzzz!" and hasn't stopped. Assuming you were looking for a show you don't have to watch with your kids, this is one. Our Verdict: Another science-focused show (this one aimed at a middle-school audience), Maker Shack Agency follows the misadventurous bromance of Wolfie and Merle. 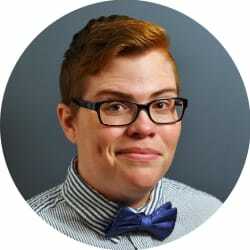 Wolfie, son of the only man to ever be banned from inventing by the government, is a boy-genius who's great at coming up with inventions, but not building them. Merle is an expert programmer who also lacks building know-how. In the show's pilot, they team up with Jo, a bored rich girl who's part Tony Stark, part MacGuyver. Together, they take down a bully that's supplying cut-rate candy to the kids of their school. This show is not only hilarious, but its central message — "fail forward!" — is basically Facebook's "move fast and break things" motto writ small. Although Maker Shack Agency is clearly an older kids' show, my whole family loved it. Featuring multiple layers of humor (everything from fart jokes to a subplot about competing candy dealers that parodies Breaking Bad), this show is smart and well-acted. More importantly, the show takes on complicated issues like a school punishing a child for being bullied. Better yet, it depicts a girl doing science (not an easy find in kids' shows). By the end of the episode, Jo was Seamus' favorite character: "I like the lady! She make a robot, because she's the best!" Maker Shack Agency was easily our favorite pilot. Our Verdict: Let's get this out of the way: Wishenpoof! is a lot of pink and a lot of glitter. But if you can get past the eye-watering color palette, Wishenpoof! is actually a really great TV show. 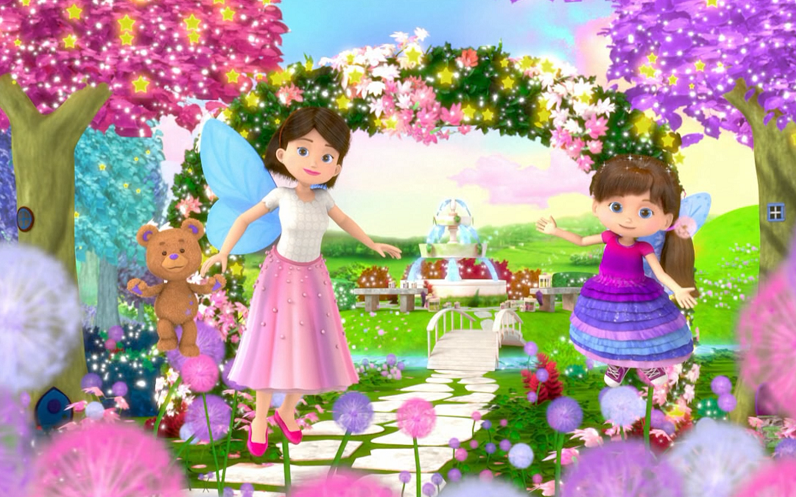 In the pilot, we meet Bianca, a little girl who has the secret power to make wishes come true. We travel with her to Wish World and then school, where she practices using her powers to make her classmates' wishes come true for a talent show. This show is aimed at very young kids, and encourages audience participation like Dora the Explorer. The pilot is filled with great messages, like making good choices and helping a friend in need. Wishenpoof! held Charlotte's interest from start to finish, to the point where she was clapping, dancing, and trying to sing along. She also kept babbling about how "pretty" everything was, so I'd say it's a hit with the target demographic. From a parent's perspective, it's a very cute show that isn't at all terrible to watch with your child. If you don't dismiss Wishenpoof! out of hand for its overtly girly packaging, you'll find a great watching experience to share with your little one. Our Verdict: Judging from the apparent ages of the actors, I'd say that Gortimer Gibbon's Life on Normal Street is meant for a school-age audience. The pilot, which is rather long for a kids' show, introduces us to Gortimer and his two best friends, Ranger and Mel. During the hottest summer their neighborhood's ever seen, the trio must defeat a magic frog living under a blind woman's house to bring an end to the heat. Reminiscent of Pete & Pete, this off-kilter show makes for fascinating viewing — if you're an adult. My kids were way too young for Gortimer Gibbon's Life on Normal Street, as they were immediately bored to tears. (Literal tears in Charlotte's case.) With its slow-burning plot, I doubt it could capture the attention of kids in its target age group, either. The dialogue sounds like it was written by someone who's never spoken to a kid. Are pre-teens really making climate change jokes now? It's undoubtedly a good show, but I don't think my children will want to watch it with me; Seamus kept asking, "Can I watch cartoons now?" 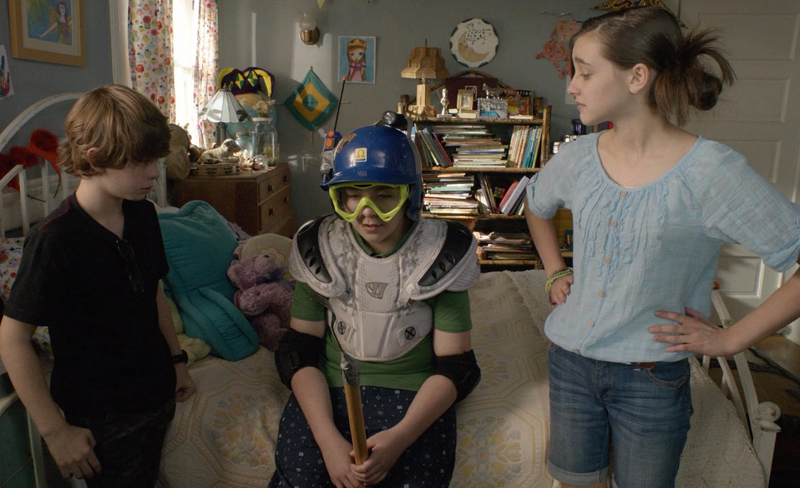 Readers, have you watched Amazon's new pilots with your kids? Did you love what we hated? Hate what we loved? Share your opinions in the comments below! Which One of These Amazon Shows About Death Is the Comedy?